1. Mary Ann Airth NASH, daughter of John (jnr) NASH (1789-1814), was born circa 1821. She married Samuel Saltus INGHAM on 12 April 1838 in Sandys Parish, Bermuda. 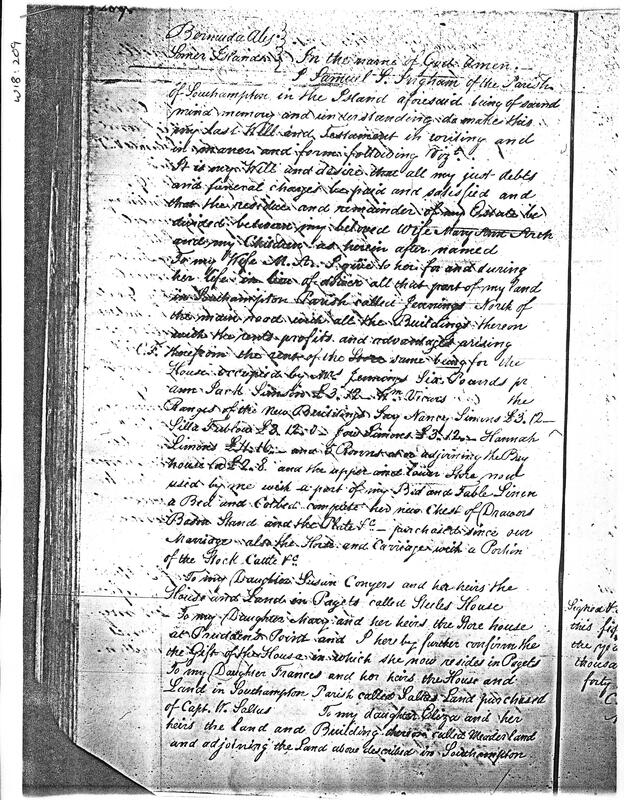 Baptism records have "Marianna Airth Nash". Robert Bassett Henry NASH (bap.1815, bur.1891). Robert was baptised on 7 May 1815 in St. James Church, Sandy's Parish, Bermuda. He was christened on 7 May 1815 in St James Ch., Sandys, Bermuda. He married Frances Euphemia Eudora INGHAM on 24 February 1850 in St. Anne's Church, Southampton. He died of Hepatic Cirrhosis in "Lemon Hill" Bermuda. He died in "Lemon Hill", Bermuda. He was buried on 1 October 1891 in Sandys Parish, Bermuda. He was buried on 1 October 1891 in Sandys, Bermuda.